Rico - "Magic by Candlelight"
James Swoger opens International Magic Co.
Gag Watch - International Magic Co.
Bongo's Blooming Bush - Ali Bongo & Magic Inc.
Do You Work The Half Dollar In The Bottle? 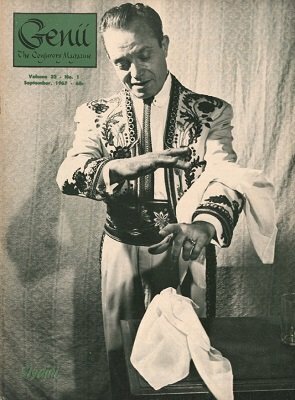 Harry Houdini's Articles Published in - M.U.M. Top Secrets of Magic, Vol. 2 - J. G. Thompson, Jr.
Will Harry Houdini Help Magic Again? - Craigs M. Snader, Jr.
Book of the Month - Yearbook of Magic, Inc.
A Watch and Chain - with "The Touch of Haskell"